It is customary to make resolutions for the new year. Unfortunately, though, not everyone who makes a resolution will stick to it. As the new year progresses, we can sometimes lose sight of our goals and not stick to our resolutions. If you have or are making resolutions for 2019, here are a few tips to help you stick to those resolutions. One of the best ways to stick to your New Year’s resolution is by being realistic with your resolutions. Some resolutions are great ideas, but they are not realistic. For example, you may want to improve your life and make more money. But it is likely unrealistic to think that you can jump from a salary of $40,000 to $80,000 in one year. So be open to increasing your income by a percentage like 3 – 20%. Likewise, you may want to lose weight, but it is hard and unrealistic to see results instantly. So lest say you want to lose 20 lbs. set a goal of 2 – 4 pounds per month depending on what you’re trying to accomplish. Be realistic with your resolutions to help ensure you do not get discouraged and can stick to them. 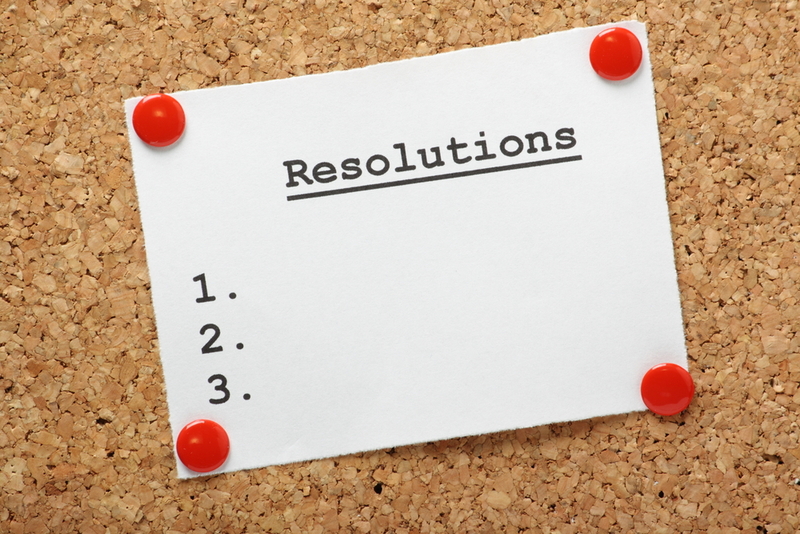 Another tip for sticking to your New Year’s resolution is to make specific, detailed resolutions. For example, you may want to lose weight this year. But instead of making that your goal, come up with a way to reach that goal. You may want to get into the gym and lift weights four days a week, maybe walking every day for a set amount of time or you may want to eat healthier foods. Maybe limiting or cutting out carbs and sugar to your daily diet. If you have large goals, it is easy to not see the progress you want, get discouraged and give up on your goals. As such, you should break down your larger goals into smaller goals. If you are looking to improve your financial situation this year, set goals to increase your credit score by 10 points every few months, to add $10 to your savings every pay period or to look for a higher paying job within three months. Breaking down a large goal into smaller goals makes it more attainable. Lastly, be sure to tell as many people as you can about your New Year’s resolution. The more people you tell, the more accountable you will be and the more people will help you with motivation if you feel discouraged. Find someone to check in with each day or week to support you. One of the resolutions that you may be looking to make this year is to get sober or continue on your path to recovery. If you are looking to remain sober or get sober, My 12 Step Store has resources and merchandise that can help you throughout the process. Visit our online store to see our products or to learn more about us. This entry was posted in Uncategorized and tagged goal, New Year, resolution, sober. Bookmark the permalink.